Alright! Alright, you caught me. Sometimes I accompany friends and family to Costco to see the wine selections and their astonishingly low prices for enticing bottles. I am not normally drawn to low prices per se; I value quality much more than cost and will often have a clear-cut image of something that I want rather than buying it because it’s on sale. When I am not frequenting the wine shops of Los Angeles, I will occasionally do some wine buying at a local market. I wanted to share here some of my trials with the wine troves of supermarkets and wholesale retailers since it can sometimes bear a thrilling experience. Nothing will ever titillate my senses more than the first time I walked into Amoeba music on Sunset Boulevard. A kid, fresh from the suburbs—albeit, the coolest in Orange County (Laguna Beach)—in the pantheon of music, in all forms… posters, films and the never-ending bustle of denizens from far reaching places inside and out of Los Angeles, on their own musical pilgrimage—me, alongside. A close second, for a very different reason occurred when I was living in Washington State. My hockey billet family took me to a Costco; it was the first time I had ever set foot in the massive retailer. Unfathomable. The parking lot alone brought to mind a stadium and the innards were cold and unfamiliar, aisles of food in abundant size, accessories, and electronics all under one roof. It was strange to take home a flat of blackberries as opposed to the one package to which I was so accustomed. Years later, Costco still wears that forbidden feeling for me because it provides me with too much for a single person, but when I throw a party I know that there are few better places that I can stock up from so affordably. I cracked a few bottles from Costco last week, two very familiar producers that I had left over from my Christmas party. 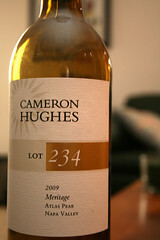 The first was a bottle of Cameron Hughes 2009 Meritage “Lot 234” from Atlas Peak in Napa Valley (#3). 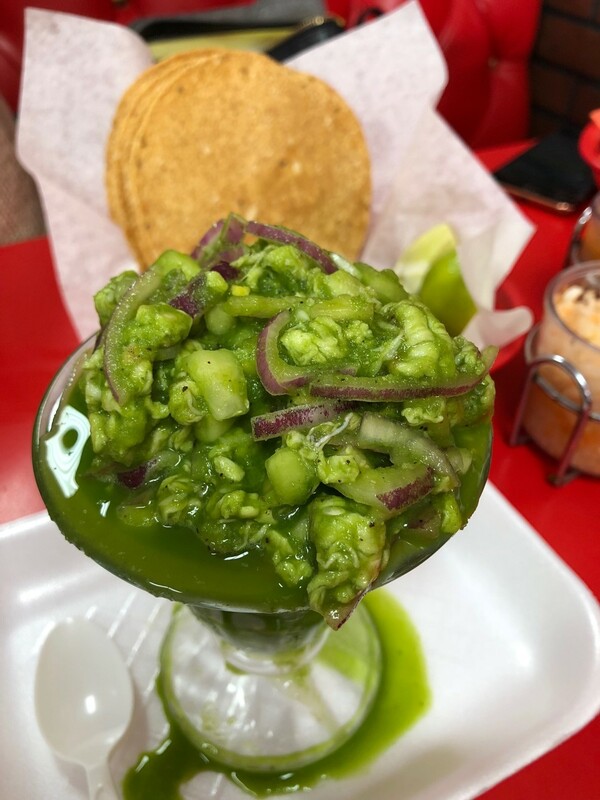 It had been some time since I met the man at my wine business class at UCLA Extension and had yet to fulfill my promise of tasting more wines from the California Négoçiant. With excitement, I cut into the foil and uncorked the bottle transferring some of the juice to my stemware to breath. I quickly sniffed the wine detecting scents of blackberries, black cherries and herbs. 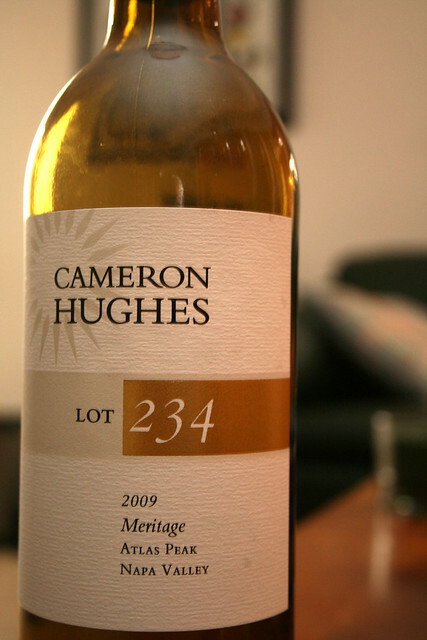 The bottle began on a high note, the fruity aromatics were powerful and I eagerly took my first sip. A curveball on the tongue, more grounded tones presented themselves; the wine was far different than I expected. An hour into the Meritage, it began to change, exposing more fruit flavors in the mouth and for a few coins over ten dollars I couldn’t complain. 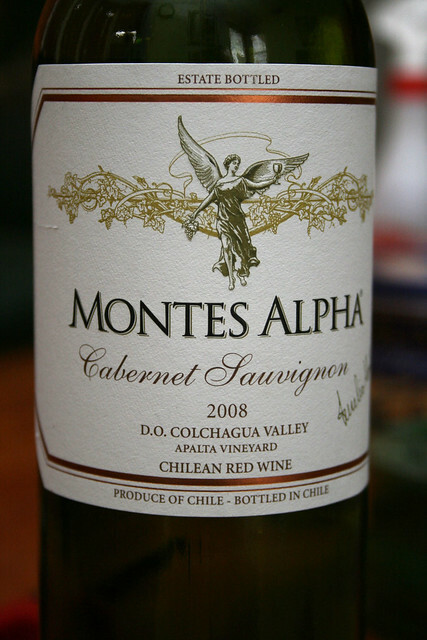 A couple days later I uncorked another bottle from Costco, this time it was a 2008 Montes Alpha Cabernet Sauvignon (#4) for less than an Alexander Hamilton. I uncorked the cab with an ex-girlfriend. In the background we coursed through Son Ra and his Arkestra’s film score-esque work: The Heliocentric Worlds of Sun Ra. In the past, I had enjoyed the Montes Alpha Carmenère immensely and was really excited about this Cabernet. Unfortunately the wine was not as kicky as I had hoped, paling behind Sun Ra’s synesthetic compositions. Five jazz albums scored the night during which we drank the Cabernet and caught up, while I lamented that this wine could not compare to the closely related Chilean Carmenère. On Saturday, after a long morning inventorying my wines, I left with a craving for a homemade ragù . 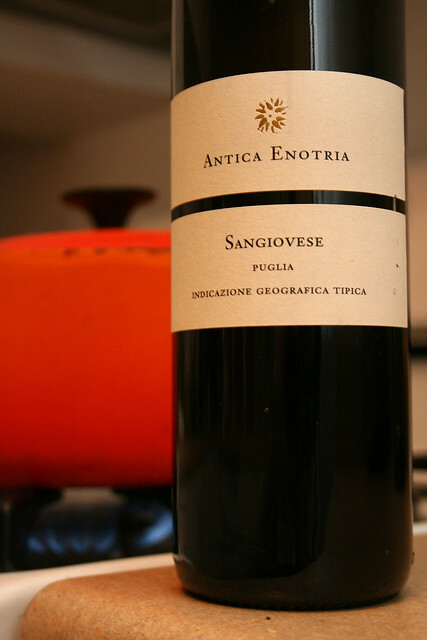 I gathered the necessary ingredients and decided to purchase an organic Italian Sangiovese from southern Italy—one that I had brought into my store blindly—for the purposes of partnering with my dinner. 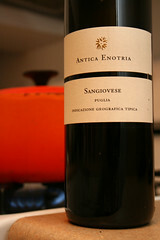 After cooking the sauce nearly all afternoon (four hours) I uncorked the 2005 Antica Enotria Sangiovese from Puglia (#5). My first whiff found unremitting red cherries, rose petals and a menthol-meets-eucalyptus scent buried deep in the glass. 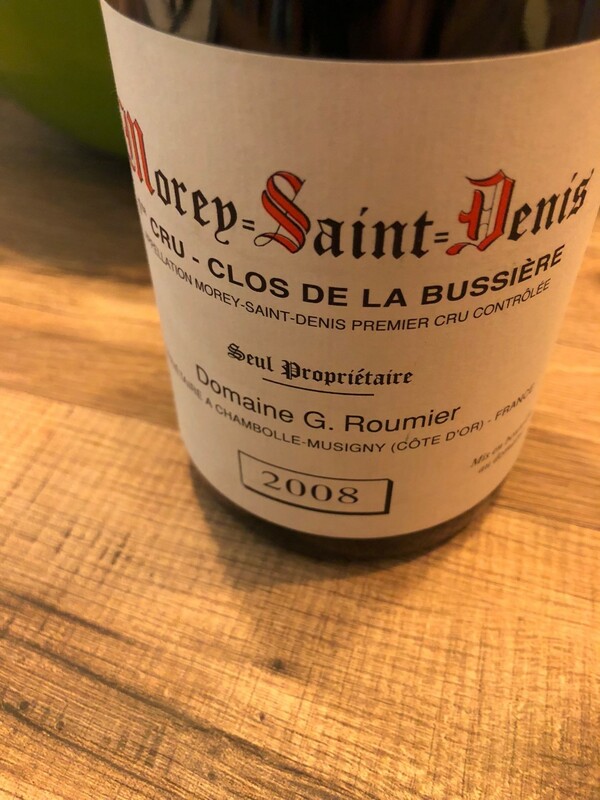 After an hour untouched, I tasted the brick red wine noticing drying but sensitive tannins, medium body, prominent cherry notes, and felt the heavy acidity that would make it a smashing success with the tomato sauce. I paid a little more for the organically grown wine but was content with the results. Perhaps I put unreal expectations on my Costco purchases (I have had that haunt me in the past), in awe of the way Cameron Hughes spoke in my business course and crushing on the relative of the Montes Alpha Cabernet Sauvignon might have lead to their less-than-resplendent showing. These two wines didn’t rouse my taste buds; it will not deter me from shopping the gargantuan wholesaler again. The Cabernet and Meritage wines are perfect examples of context wines, serving their roles they will shine, but giving them the task to carry the room would not be doing them a favor. The organically grown wine delivered more but for the price (twenty dollars) I demanded it. The markets are a curious study. Going forward I will start to write more regular installments, perfecting my picks and striking a fine balance between value and worth. There are plenty of awesome wines to be found in the markets and I will make a concerted effort to uncover many this year.